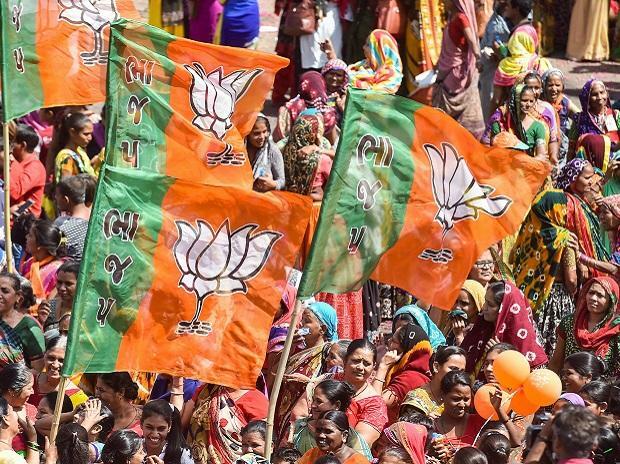 The BJP is thinking of mooting a couple of schemes in its 2019 Lok Sabha manifesto to counter the Congress’s electoral promise of minimum income guarantee of Rs 72,000 a year to the poorest 20 per cent of the country. There are concerns within the BJP that NYAY (Nyuntam Aay Yojana), as the Congress has termed its income guarantee scheme, has caught the imagination of the poor, particularly the landless, in rural areas. The Congress has said the scheme, if it were to come to power, would cover urban poor as well. The Narendra Modi government had in the interim budget committed to PM Kisan Nidhi, which envisaged Rs 6,000 per year, or Rs 2,000 quarterly payments, in the bank accounts of small and marginal farmers. However, the scheme did not cover the tillers and landless poor. The Congress think tank stepped in to propose NYAY or Rs 6,000 per month to the poorest 20 per cent families. According to the BJP’s feedback from the ground, the Congress scheme has created a buzz among the poorest. On Sunday, at his electoral outreach from Delhi at the ‘Main Bhi Chowkidar’ campaign, Modi implored people not to trust the Congress’s electoral promises. Without mentioning the Congress, Modi said people making such promises knew they were unlikely to come to power. According to sources in the BJP, the party could include a couple of schemes that would promise income guarantee to the poorest in its manifesto. Sources, however, were not willing to share details, mostly because the party is still in the process of discussing the contours of the schemes it is likely to propose.